Action Forms is a powerful tool but it is a work in progress. I have encounter a few bugs along the way but the forum is pretty helpful with answering questions and fixing small bugs in a couple of days. I recommend using it instead of creating a form module yourself from scratch. This is the best module ever. You can create absolutely anything you might need. This Module should be a default on DNN, I don't understand how it isn't. 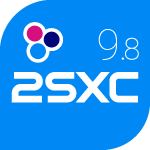 I actually don't see the reason of DNN without a module like 2sxc.